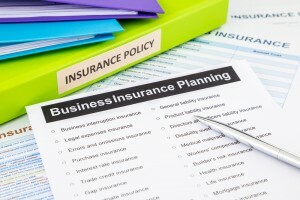 Eaton Insurance offers quality business insurance for all businesses. Running a small business involves a significant investment. Business insurance protects your investment by minimizing financial risks associated with unexpected events such as, a lawsuit, a fire, burglary, or a natural disaster, an injury to an employee. If your business is an LLC or a corporation, your personal assets are protected from business liabilities; however, neither business structure is a substitute for liability insurance, which covers your business from losses. With over 40 years of experience we can help you get the best tailored insurance & photography business insurance for your needs. Contact us today! Business owners purchase general liability insurance to cover legal hassles due to accident, injuries and claims of negligence. These policies protect against court judgments as the result of bodily injury, property damage, medical expenses, libel, slander, and the cost of defending lawsuits. Our general liability photography business insurance will cover you against claims, accidents or injuries at weddings, sports or baby photo shoots. America is a very litigious society and people sue all time for any reason and while a suit may frivolous it can take years and great expense to fight which is why you need General Liability Insurance. Companies that manufacture, wholesale, distribute, and retail a product may be liable for its safety. Product liability insurance protects against financial loss as a result of a defect product that causes injury or bodily harm. The amount of insurance you should purchase depends on the products you sell or manufacture. With our photography business insurance in the event of damages to the set or studio equipment. The cover will secure no halt in income but will cover the damages. Property insurance covers everything related to the loss and damage of company property due to a wide-variety of events such as fire, smoke, wind, burglary and vandalism, among other perils. The definition of “property” is broad, and includes lost income, business interruption, buildings, computers, inventory, furniture, etc. Property insurance policies come in two basic forms: (1) special form policies covering a wide-range of incidents and perils except those excluded in the policy; (2) peril-specific policies that cover losses from only those perils listed in the policy. Special Form policies provide broader coverage than Peril Specific Polices.